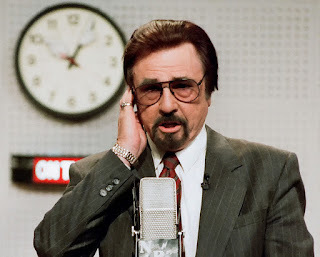 Radio and television personality Gary Owens was indeed famous, mostly for his funny announcer role on the popular sixties television show, “Laugh In.” But I first encountered his zany and witty humor when he was a disc jockey at KFWB in Los Angeles. 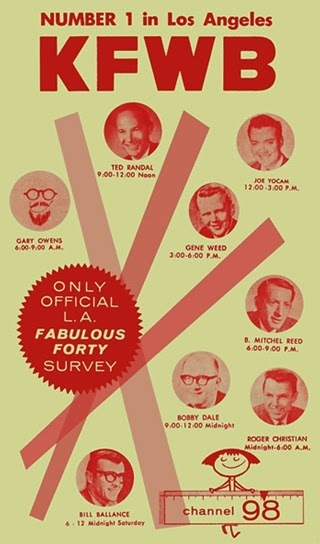 In the summer of 1961, when I was 11 years old, I won a contest two days in a row by being the first caller to his show with the correct answer. I can’t remember what the question or the contest was, but I do remember winning a Gary Owens coloring book and KFWB bumper sticker. The real prize was talking briefly with my idol. He congratulated me for winning two days in a row. Here was a man who made his living playing records and being funny. That’s what I wanted to do. Many years later while working as a reporter at the Daily Pilot newspaper in Newport Beach, I read afternoon news reports live from the newsroom, broadcast on a local FM radio station. At last, I was following in the footsteps of my hero, Gary Owens. I tried to make the news briefs funny, but alas, I was no Gary Owens and wisely stuck with print journalism. When I was a young guitar player and singer, on the road in April 1973 with a group called Changes, I met singer O.C. 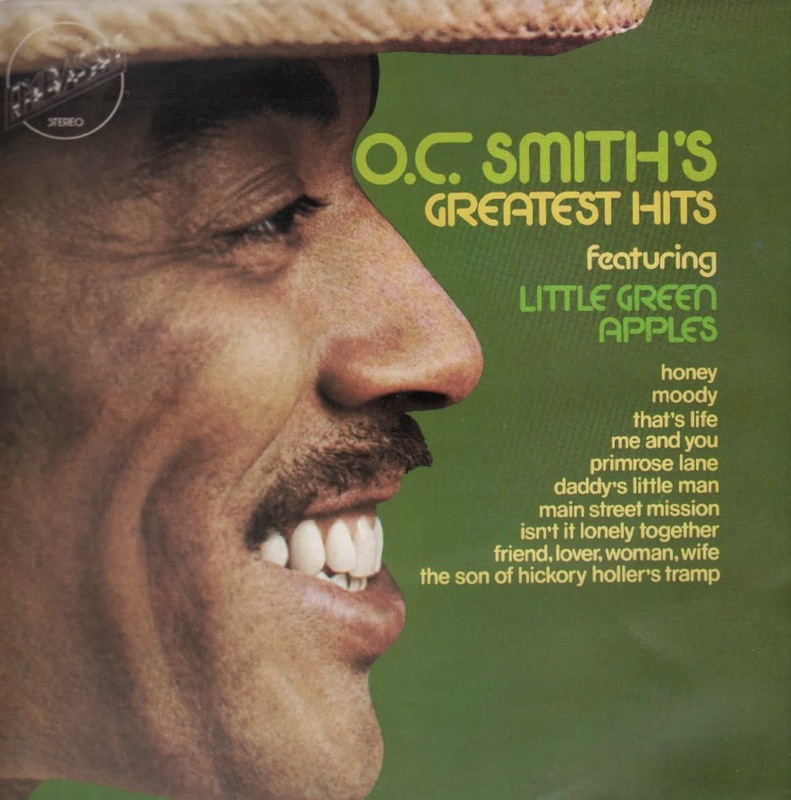 Smith, famous for his Grammy-winning recording of “Little Green Apples” four years earlier. We were playing six nights a week at the Baranof Hotel in Juneau, Alaska. On a concert tour of Alaska, O.C. Smith and his band arrived in Juneau to play two weekends at the hotel. On those weekends, we played alternate sets. There wasn’t much to do during the daytime, and I spent time with his sidemen, all gifted jazz musicians, trying to learn whatever secrets they possessed. They quietly complained that Smith only used them for his rigorous road gigs. They had not played on any of his records. That taught me something about the limits of talent in the subjective world of show business. Despite his fame and many years of performing, including being a vocalist for the legendary Count Basie, he still got nervous before going on. I saw him grasping a young lady’s hand to steady his nerves as his band played the intro music just before he came on. But once he was on stage, he had the infectious confidence of the seasoned professional. I’m not surprised that O.C. Smith, a singer with a warm, baritone voice and electric personality, became a preacher years later. He founded the City of Angels Church of Religious Science in 1985.